Amazon bestselling author, Ken Fry, holds a university Master's degree in literature and has extensively traveled around the world. The places and events are reflected in his stories and most of his tales are based on his own experiences. 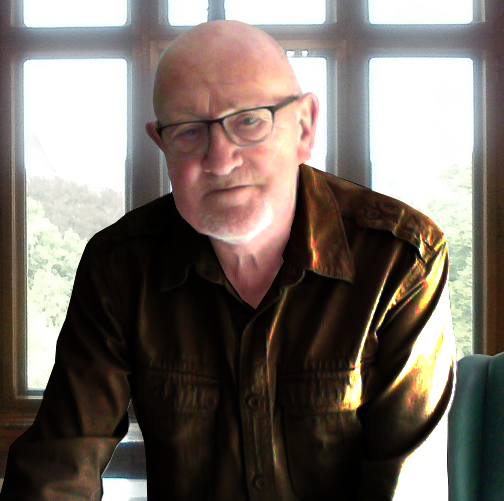 He was a former publisher before deciding to retire and devote his full time to writing. He now lives in the UK and shares his home with 'Dickens' his Shetland Sheepdog. In the tradition of Dan Brown and Robert Ludlum's novels, The Brodsky Affair will keep you on the edge of your seat as Ken Fry weaves a tale of murder, mystery and intrigue. Jack Manton, an art dealer, and his partner, Tamsin Greene, did not expect to be targets of assassination attempts. But, when they began to track down the lost paintings of Russian artist, Mikhail Brodsky, now worth millions... that is what happened. 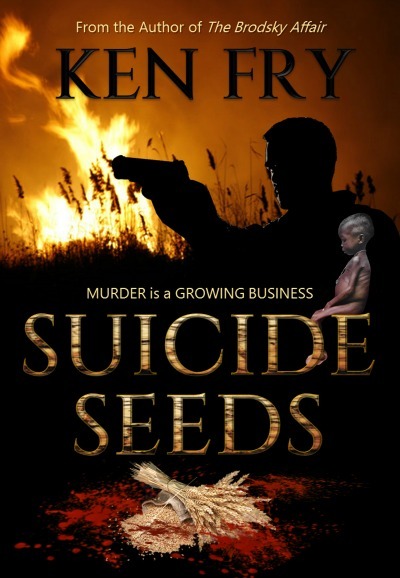 From the author of suspense thrillers, Ken Fry, comes a fitting novel for our times. How far will people go for fame and fortune? And at what cost? A genetically modified seed was developed by a western GM seed company, NewCrop, to end the famine in West Africa. Lloyd Olsen, one of their top executives, leaves everything behind to move to West Africa and head the company's operation. If he succeeds, a CEO position would be more than just a dream. Olsen was not informed that NewCrop plans to make West Africa a staging post for a large and highly suspect operation - The distribution of a non-seeding, nightmare crop... dubbed the Suicide Seed. Eventually devastating the continent's agriculture, and wreaking havoc to its biodiversity. Farmers would have no choice but to buy their yearly supply from NewCrop. Either that, or starve and die. Is this the beginning of the GMO Apocalypse? Nobody would call Jim Beresford pitiful. He has a perfect life. All traces of his once miserable childhood has been erased and best forgotten. He is successful, popular, rich, with a beautiful wife and three daughters. They were the love of his life. Jim had it all. Until one day, everything he's ever worked hard for crumbles into dust. Prentice has an unusual encounter on the road one night, but thinks nothing of it. He has a well planned life, with no place for the unexpected, the uncontrollable. Oh yes, Joe Prentice has everything under control. Until his wife disappears, and he meets an opponent who knows how to play the game better than he did. Now, Prentice has to learn the hard way... that not everything goes as planned. 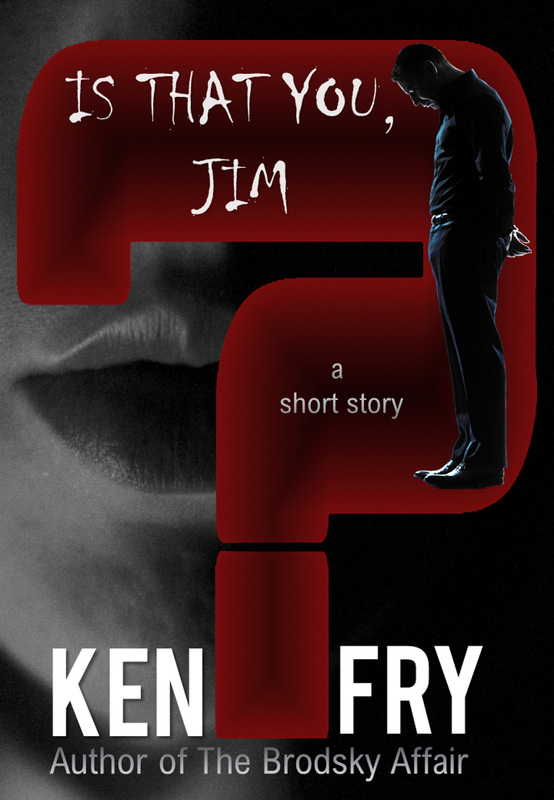 Visit Ken Fry's website at Books by Ken Fry.com and get free ebooks. *** Official Selection in Historical Fiction, 2017 New Apple Summer eBook Awards. *** 2017 IAN Book of the Year Awards WINNER in Christian/Religious Fiction. 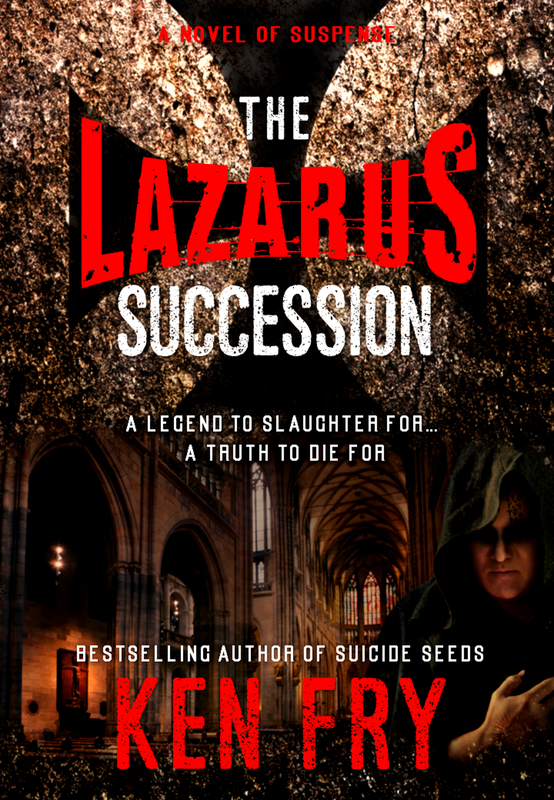 The Lazarus Succession is a modern-day suspense thriller with a mystery that goes back 2000 years. This epic story takes readers to the ancient scene of Christ's greatest miracle, to medieval Spain, and back to modern-day Europe. In typical Ken Fry style, nothing is as it seems and a surprise awaits at every turn of the page. 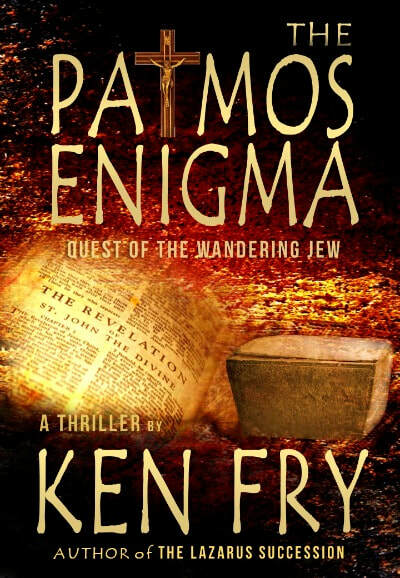 "Although similar in many ways to the books by Dan Brown, I enjoyed it more. It was both sophisticated yet down to earth, despite Brodie's visions. At no point does the author over dramatize the story, but with his excellent grasp of the written word he leads us to accept the surreal as perfectly normal and possible. The writing is excellent, the book is a treasure in itself and I would love to award this six stars." Throgmorton's client, a wealthy Spanish Condesa, is terminally ill and the icon is her last hope. She will pay and do whatever it takes to find the missing work of Cortez. Ladro and Stuart learns of Throgmorton's deceit and attempts to thwart his plans. As they delve deeper into the mystery of the missing Cortez painting, they discover a secret that changes their lives forever. Just as it changed the lives of everyone it touched across the centuries. To amass and control this wealth, the creation of an illegal state called Salonga is proposed. The nominated ruler, backed and supported by the MEO, is a former RUF commander - General Icechi Walker, known as 'Body Chop' - a suspected mass murderer involved in countless atrocities. Disgraced, virtually bankrupt, ex-Sgt. Alex Dalloway, is a major part of the mercenary brigade. He has a personal quest to locate the Army officer who tortured him and killed his men years ago in the jungles of Sierra Leone. He begins to suspect the former RUF commander's involvement. UK #1 BESTSELLING CHRISTIAN FANTASY, RELIGIOUS FANTASY & BIBLICAL FICTION. With the success of his UK bestselling religious mystery, The Lazarus Succession, Ken Fry once again crafts a cunning and explosive historical thriller unlike any you've read before.